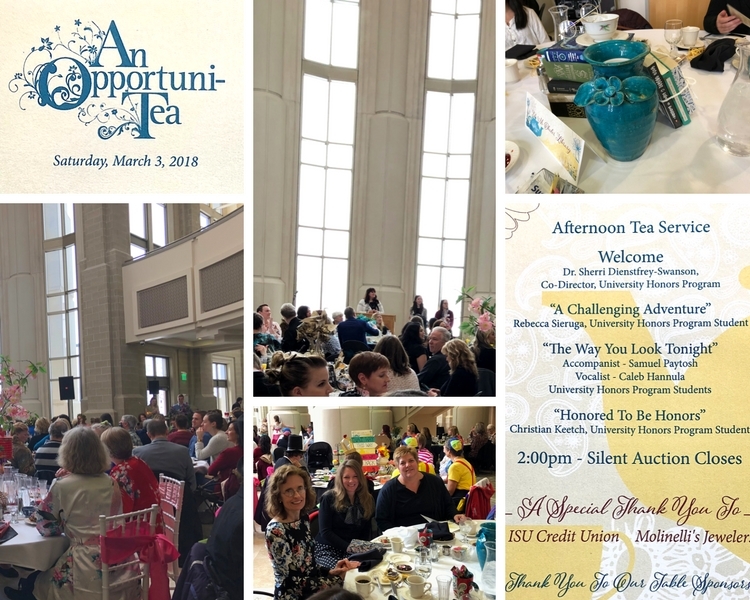 Eli M. Oboler Library was honored to be a table sponsor at a fundraising event for the University Honors Program at Idaho State University's An Opportuni-Tea that was held on Saturday, March 3rd. This fun event included: tea service, a three-course lunch, student speakers and performers, a vast selection of silent auction items, and many exciting raffle ticket baskets. If you missed this fundraising opportunity but would still like to contribute to the ISU University Honors Program, you can contact them at isu.edu/honors or University Honors Program, Idaho State University, 921 S. 8th Ave., Stop 8010, Pocatello, ID 83209-8010.